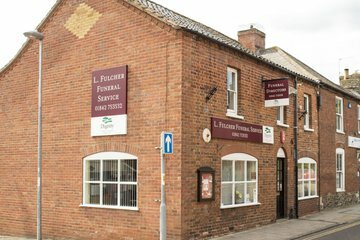 Compare funeral directors in Thetford and read verified reviews on the UK’s online funeral resource. 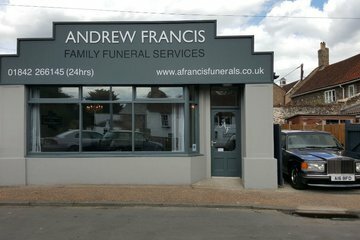 Use Funeral Zone Listings to find local funeral directors in Thetford that meet your specific needs. You can organise the search results by ‘best rated’, 'nearest' or ‘most reviewed’. There is also a handy Google Maps feature so you can see exactly where each funeral home is in relation to each other. Thank you Andrew you and your team made us proud, you supported us all the way for which we are grateful. One could not improve on the understanding & service given by Andrew Francis & his team in Watton at this difficult time. NOTHING was too much trouble. Everything was dealt with swiftly & with a professional attitude that other businesses of all kinds should look to follow. One now considers the team at Andrew Francis's to be friends, as well as the people who took care of a much loved member of the Wickwar family. Douglas Wickwar will be looking down & raising his cup of coffee to you with pride & his own thanks. You did him & yourselves proud. 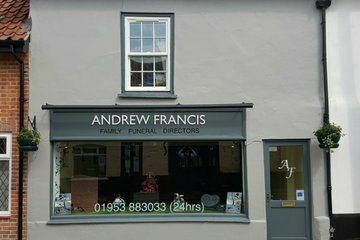 Andrew was very professional in dealing with my wife’s funeral and he has a very friendly nature which shone through in all that he done for me and my family. Anything that was asked of him or his team he obliged so sincerely. Very professional with that human touch.